What's going on in fourth grade? You can click on any of the links below to take you to specific topics included here on our Fourth Grade Website. 4 In December we will be learning about classification and why it is important. 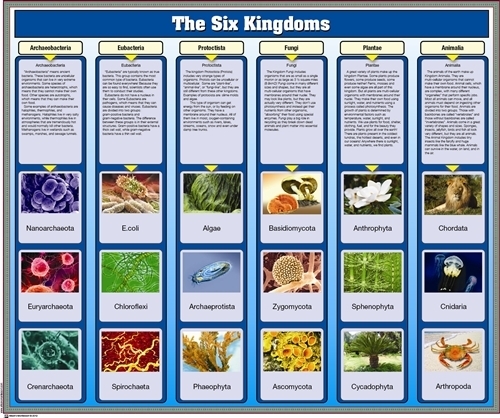 We will learn to use a dichotomous key and take a close look at the traits scientists use to break all living things into 6 kingdoms. We learned the phrase King Phillip Can Only Find his Green Shoes as a way to help us remember how the animal kingdom is further classified. 6 December: Students will be learning about European exploration. Explorers like Henry Hudson and Samuel D. Champlain will be discussed. Students will then begin their study of Colonial America. 7 Study Skills with Mrs. McKeough: Study Skills is intended to support core subjects, Science, and Social Studies. 8 At this time, students are reviewing longitude and latitude. They are also working in the computer lab to improve their keyboarding skills. 13 Need to contact us? Mrs. Caraco's Halloween Funny Faces ! November: Chapter 4 in MyMath-multplication and division as inverse operations. Students in all classes are working on place value. Students have received a password to their MyMath ebook. Teachers will assign each student work which will need to be completed. Students should feel free to log in to MyMath to use the many videos, games, and tutorials. In December we will be learning about classification and why it is important. We will learn to use a dichotomous key and take a close look at the traits scientists use to break all living things into 6 kingdoms. We learned the phrase King Phillip Can Only Find his Green Shoes as a way to help us remember how the animal kingdom is further classified. Students are now beginning a unit on the study of living things. We have learned that all living things are made of cells. We have also learned about the five life functions of all living things. Students will be labeling and learning about plan and animal cells and creating a cell to take home. In Science we will begin the year with the study of animals. Students will learn about the parts of an animal cell and how they differ from plant cells. We will also be researching and observing crayfish. December: Students will be learning about European exploration. Explorers like Henry Hudson and Samuel D. Champlain will be discussed. Students will then begin their study of Colonial America. Study Skills with Mrs. McKeough: Study Skills is intended to support core subjects, Science, and Social Studies. At this time, students are reviewing longitude and latitude. They are also working in the computer lab to improve their keyboarding skills. Above-Mr. Criscone's Pasta Dinner to benefit Jump Rope for Heart! Birthday Treats: Birthday treats for your child's class are welcome. Treats will be shared either during a snack time or during lunch depending on the class schedule that day. Phys Ed: Your child does need to change clothes for phys ed this year. They need to have sneakers as well as a change of shorts and shirt. Deodorant is a good idea as well! Students may keep their phys ed clothes in the classroom as long as they are in a bag that can be hung from their coat hook. Recess: Recess is a privilege! If your child does not do their assigned homework or has been not been paying attention in class, they will be asked to give up their recess time.